Thousands of square feet of Rubberway Sidewalk were installed at the Texas Instruments corporate campus in 2015. In an effort to increase corporate wellness, Texas Instruments added indoor and outdoor fitness facilities to their campus. 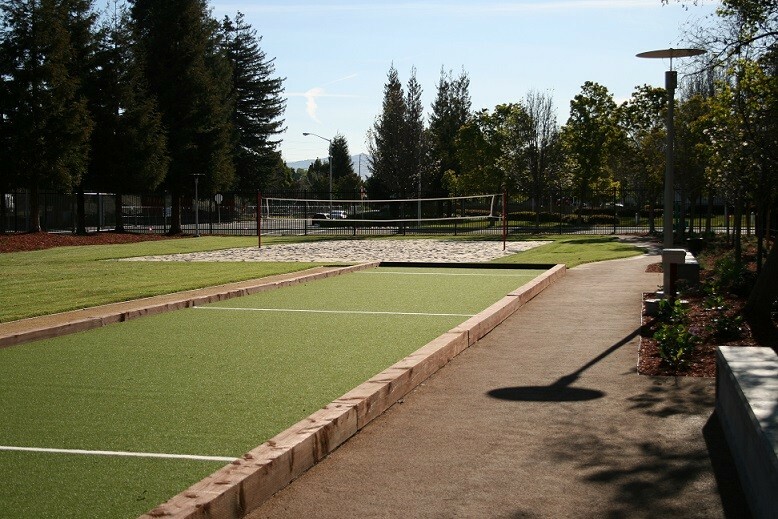 The outdoor fitness area features a Rubberway Sidewalk trail with fitness stations along the way as well as a bocce ball court and a volleyball court. This new improvements promote employee health, happiness, and productivity. Rubberway Sidewalk was selected for its resiliency, asthetics, for its porosity for stormwater management, and for its contribution to LEED green building credits. The Texas Instruments corporate campus is LEED platinum certified, a commendable accomplishment that recognizes the best in green building and sustainability. Rubberway systems are a great way to enhance the workplace environment while also promoting sustainability. 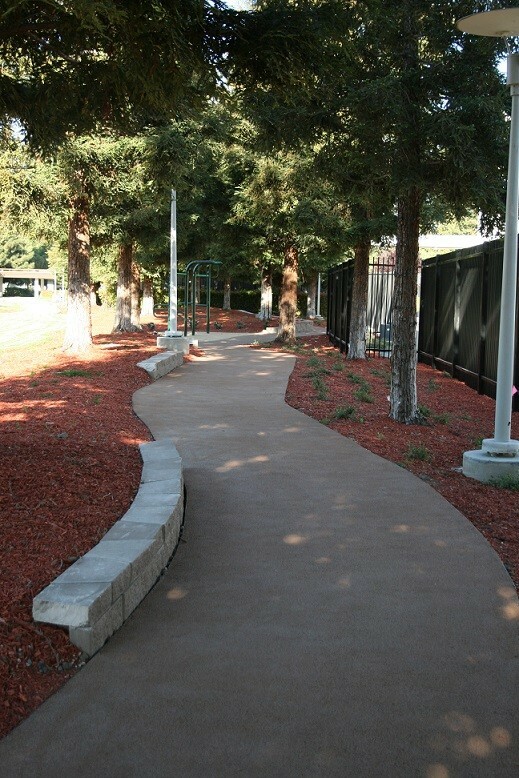 Rubberway Sidewalk and not only enhances the surrounding landscape by providing an excellent recreational surface for the staff, but is an environmentally friendly paving option that creates a safe, non-slip, resilient surface that is comfortable for walking and jogging.